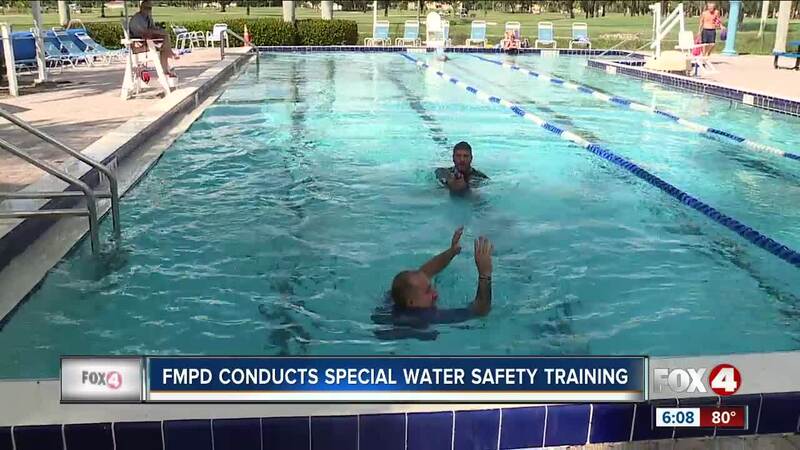 Fort Myers Police Department conducted safety classes today at the Fort Myers Golfview Community Pool for officers. From treading water to swimming laps underwater, the training is especially designed for officers to improve their skills if they must rescue, pursue or even arrest individuals in our area waterways. The exercises start with simple skills such as how to safely enter a body of water, and advanced to being fully clothes with bullet proof vests. Details on and in the water are a very necessary part of training for officers in Southwest Florida.